The starburst and the flower images are perfect for the circular shapes needed in the MOJO Monday sketch this week, another brilliant one by Julee Tilman. 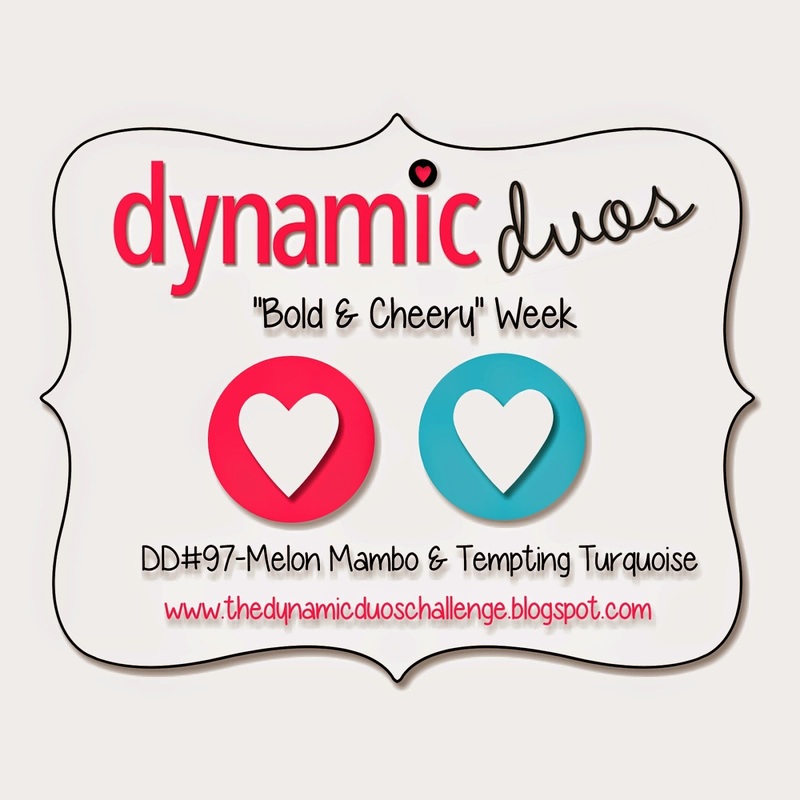 The little bird fits on a circular background as well, and these stylized designs work well with the bright colours of Tempting Turquoise and Melon Mambo from the Dynamic Duos challenge this week. I did some paper piecing of the bird's wings and the flower center. I stamped each image in both Tempting Turquoise and Melon Mambo and cropped the wings and the flower center by hand from the Melon Mambo images. I then adhered them to the Tempting Turquoise images, by matching them exactly to the original part of the picture. I used a variety of Circle Punches and Circle Framelits to punch out and matte all the parts. It's so nice that you can find the right sized circles among them to cut and matte almost any size circle! The flag containing the sentiment, from Gifts of Kindness, was cut using the Banners Framelits. 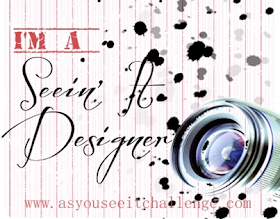 The background DSP is from the Brights Designer Series Paper Stack and uses the Fancy Fan design. With a crisp little bow that I made with a technique using a "C" clear mount block, I finished that back panel using the 3/8" Taffeta Ribbon in Whisper White. 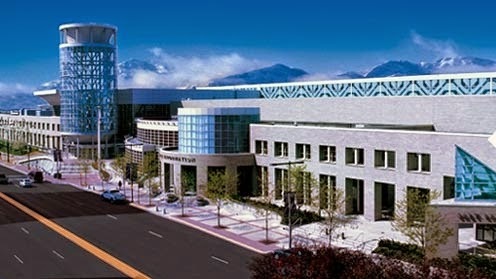 And that's a wrap, except for the Weekly Deals, and some excitement, because tomorrow, bright and early, I'm going to register for Convention, which takes place in July in Salt Lake City! 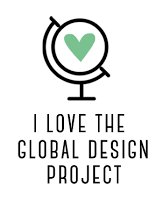 I really enjoy the experience, the motivation, the friendships and the fun! And here's a reminder that YOU could be going with me this year! "How?" you ask! Easy, peasy! 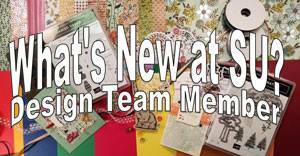 Just join my team, the Papercraft Cats, by ordering the starter kit for $125! 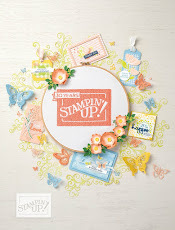 And this year, if you have signed up since July 2013, Stampin' Up! is paying your registration! How cool is that??? I'd love it if you came along with me! But you should act soon, so registration doesn't fill up before you can get in on it! We have a blast and we share hotel costs to keep it reasonable. Just send me an email that you're interested, or simply click on "Join My Team" on the top menu bar and you are on your way! 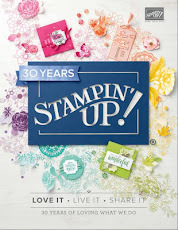 For $125, you get $155 of any current Stampin' Up! products plus a business pack of all that you'll need to get started earning money doing what you love! Nice taken on the sketch Heather. Very pretty colors. Beautiful card! I love that stamp set! Thanks for joining us this week at Dynamic Duos! Super pretty!!! Thanks for playing at Dynamic Duos! !